Load, unload, and register all jobs per day. With the help of the managers and supervisor, it will be one's responsibility to make sure every order is printed correctly and on time every time. One must have basic computer skills and knowledge of the industry. Additional concerns must be coordinated with the supervisor on any possible issue. Culture Studio is one of the nation's leading Merchandising companies. Our goal is to empower the client to continue growing their business. 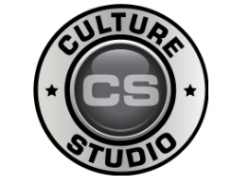 Culture Studio is seeking a progressive thinking and creative minded individual to drive our company at the source. You will be working with top of the line M&R machinery both automatic and manual. The press operator is at its core one of the most fundamental parts of our organization. An ideal candidate will have drive, a strong work ethic, motivation, and a have interest in joining the excitement of clothing industry as well as a inclusive, fulfilling, and exciting Culture. Culture Studio stands by it’s dedication for quality control and organization to ensure every client receives their order with the correct imprints and ready for sale. The Belt Catcher position is a crucial part of our quality control. Every item printed is important and must be accounted for.